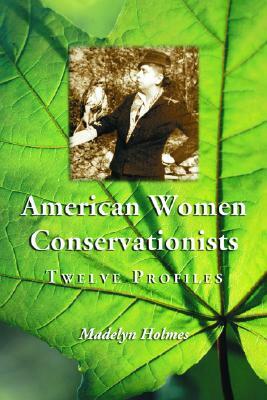 This collection of biographies describes twelve women conservationists who helped change the ways Americans interact with the natural environment. Their writings led Americans to think differently about their land--deserts are not wastelands, swamps have value, and harmful insects don't have to be controlled chemically. These women not only wrote on behalf of conservation of the American landscape but also described strategies for living exemplary, environmentally sound lives during the past century. From a bird lover to a "back to the land" activist, these women gave early warning of the detrimental effects of neglecting conservation. The main part of this work covers six historical figures who pioneered in their thinking and writing about the environment: Mary Austin, Florence Merriam Bailey, Rosalie Edge, Marjory Stoneman Douglas, Helen Nearing, and Rachel Carson. A later chapter gives portraits of six post-World War II conservationists: Faith McNulty, Ann Zwinger, Sue Hubbell, Anne LaBastille, Mollie Beattie, and Terry Tempest Williams. The work covers a broad range of conservationist concerns, including preservation of deserts and old growth forests, wildlife protection, wetlands maintenance, self-sufficient sustainable ways of producing food, and pollution control. A conclusion examines where conservationists have picked up after Rachel Carson's Silent Spring (1962) and gives conservation ideas for our time. An appendix lists the published writings of the twelve conservationists. Women's historian Madelyn Holmes has written for The Christian Science Monitor and The Geographical Magazine. She lives in Burlington, Vermont.